At the Gentle Vet Animal Hospital, we are professionals serving our valued customers and their pets. 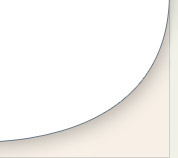 This is our motto, and it exemplifies the anticipatory and courteous service provided by all our staff members. 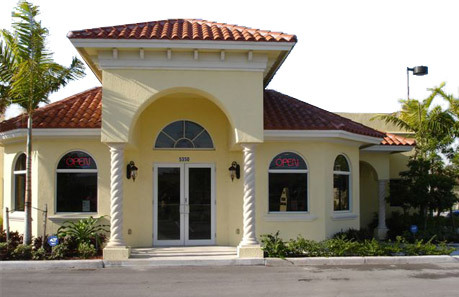 Luxury, comfort, and high standards are the main focus of our animal hospital design. Our building is designed like an Italian Villa, with a spacious lobby, with porcelain tile floor throughout, and the most advanced medical equipment available today. We did not want our facility to have the cold detached feeling of a regular animal hospital. 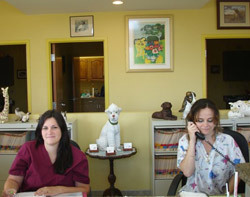 Instead, we opted for a friendly, home like atmosphere, where both our patients and their owners feel at ease. The planning and construction phase took over five years and our new facility stands out as one of the most advanced buildings in South Florida. Our facility is self-sufficient, and in case of an emergency, we have a natural, gas-operated generator that will keep our facility fully operational. The building is built following the most up-to-date codes, and all our doors and windows are hurricane-resistant structures. In addition, we have ample and luxurious landscaping around the hospital for the benefit of our valued patients and their owners.